You know what happens when you walk past Lush and tell yourself that you won’t be going into Lush and the next minute you end up in Lush. 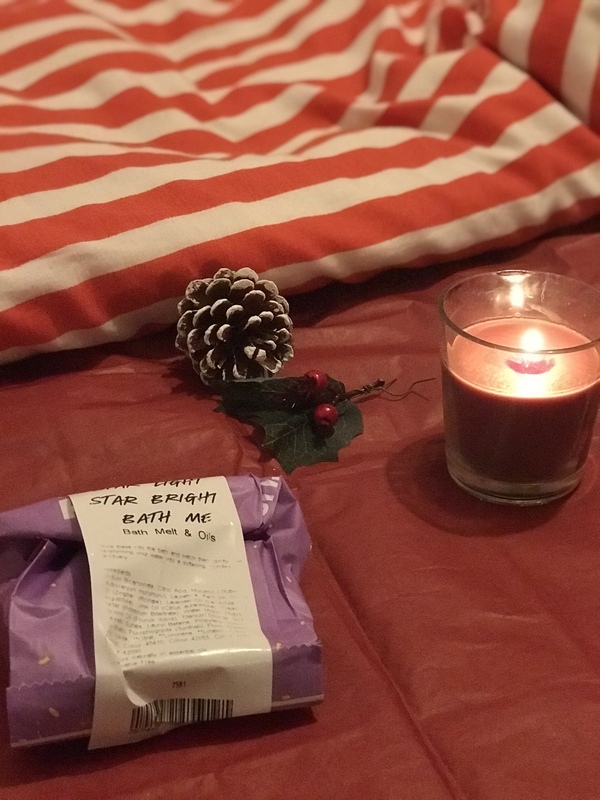 Well yes, that is what happened and now I have a mini Christmas haul for you. So I already knew a lot of the products that they were coming out for Christmas as I was so excited to go back into the shop and get the ones that I wanted from the Event. I haven’t used any of these products yet so I can just going to be talking you though how they look and how they smell. This Christmas bubble bar is probably one of the top three prettiest products that Lush have. It is so gorgeous, you could not go into the shop and not pick it up. 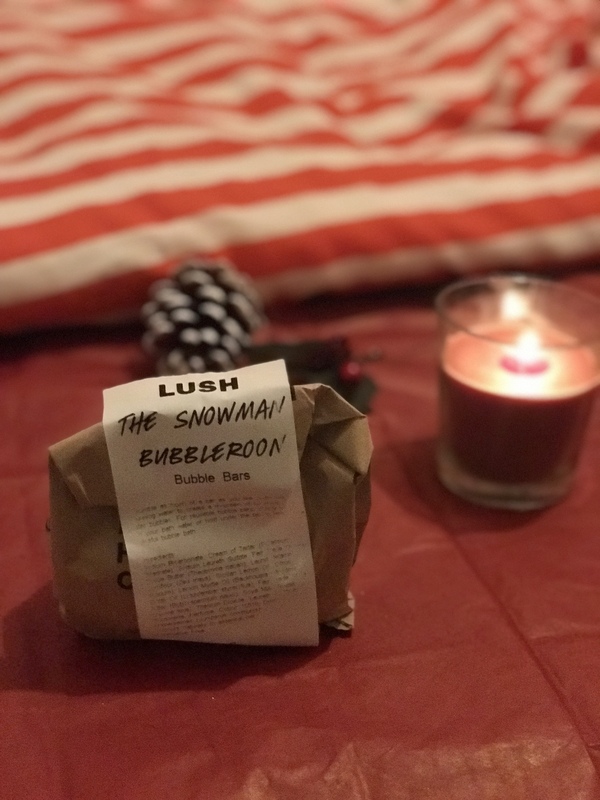 it is really crazy that every year I see people raving about this Bubble Bar and this year was the first year that I actually picked it up. 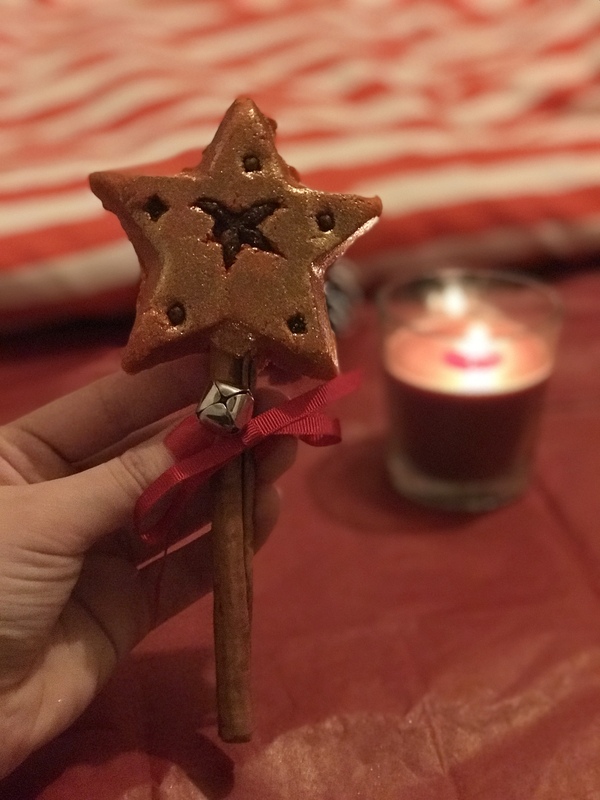 I love the presentation of it and the cinnamon stick being how you hold it is so unique. I love all of the colours on this bubble bar, they all go together really well. I just think it is sooo pretty and it has a little bell on it which is too cute. 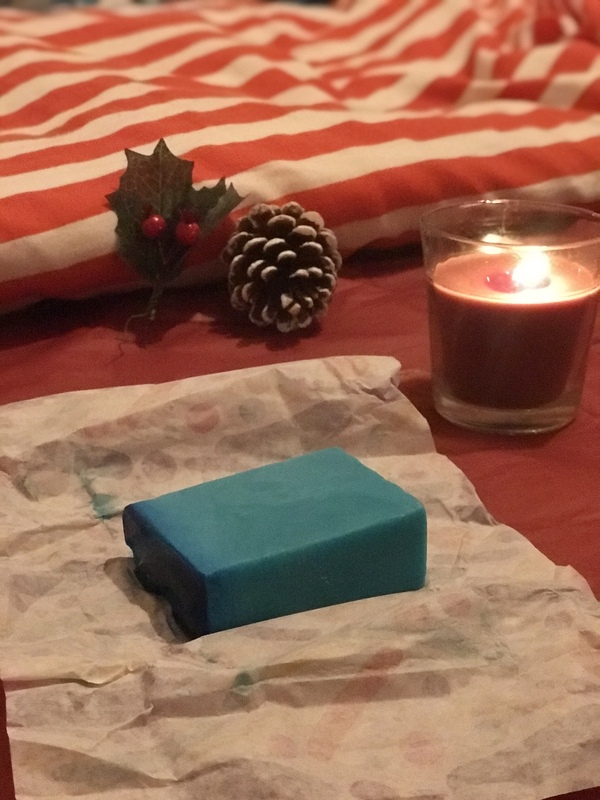 With this bubble bar you are getting so much for your moneys worth as it is reusable, which is really good because you can use it a lot of times. 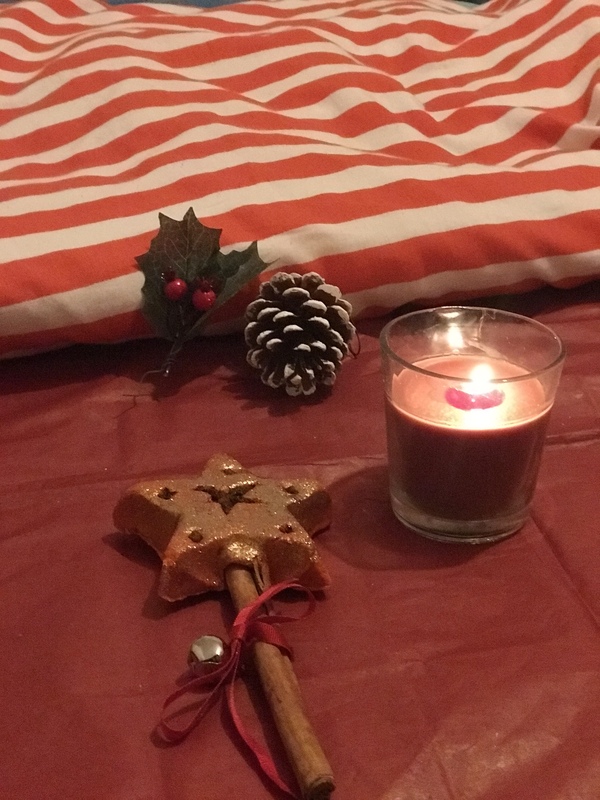 I love how glittery the star is, when you touch It your hands get covered in glitter, but I’m not complaining. Who doesn’t love glitter? This would be such a great bubble bar to use if you are going out, or have a special occasion. I can’t really describe the smell of this bubble bar, it is really sweet but it does have a bit of spice to it. I can smell citrus orange and almond, I am so bad at describing scents but this is definitely one of the best things I have ever smelt. This Bath melt is so so so gorgeous and it smells gorgeous too. It has such a an oily citrusy smell, that is incredible. 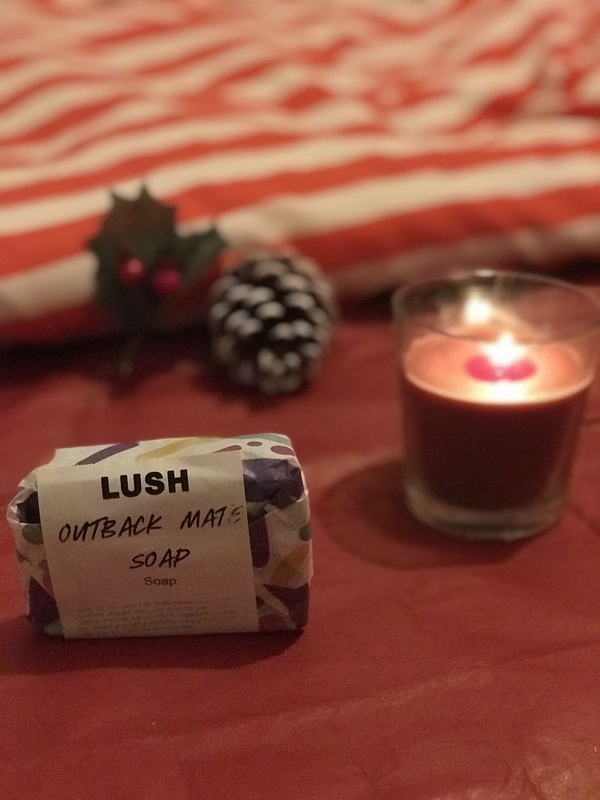 I can actually smell the oil in the bath melt and you just know that from the smell it is going to make your skin so soft! It is super glittery, so if you touch it you are going to have glitter on you. Perfect for you to have this in your bath if you have a special occasion or you are going out as it will make you shine with glitter! I love how big this is for a bath melt, normally at Lush I get the little bath melts and they are phenomenal and they are always really smell. This one is massive and is going to last such a long time. HOW CUTE?! I actually love this bubble bar soooo much, when I saw it I knew I needed it. I can’t tell you the trouble I went through in order to get a cute snowman that’s nose wasn’t broken though, all of their noses broke off. I found one in the end and he is super cute. He is also really big, ( I love how I am referring him to a “he” haha!) he is a biggish bubble bar but I don’t even know if I want to use it, because it is too cute to use. 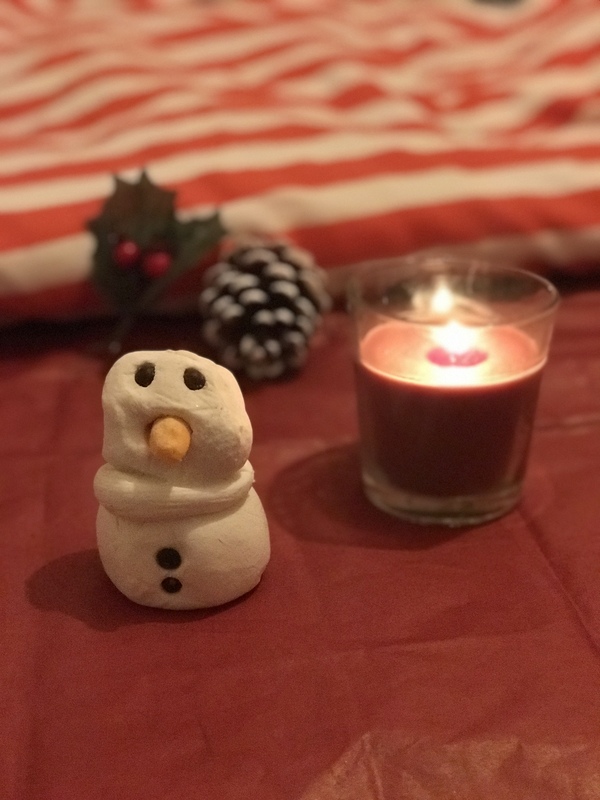 I am sure that you would have noticed by now that I love the idea of this being a snowman, it is so festive and makes me so excited to use it and have a nice Christmas bath. it smells really citrusy lemon, which I love. I think I now know that I really like citrusy smells, I like the little kick it has. You can also smell the lemon oils and the Shea butter inside this bubble bar, you know it is going to be a good one to keep your skin moisturised. THIS SMELLS LIKE CANDY CANES! omg when I picked it up, I instantly smelt peppermint which is also one of my favourite scents and flavours. I love how sweet and fresh it is. 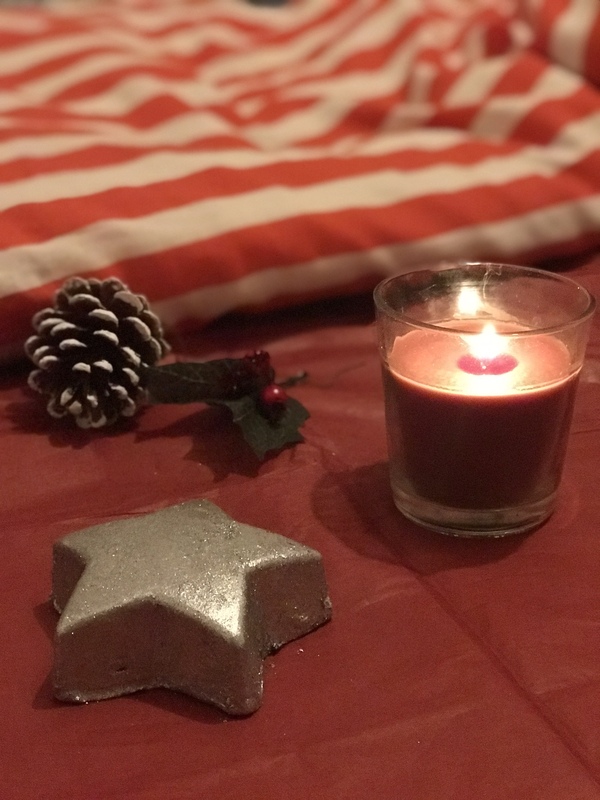 This is such the perfect soap for this time of year as it smells like candy canes. I also think the blue is stunnnnnning!! it is such a lovely dark blue on top and then a light blue on the bottom half. I think it would have been cool if this one was white and red striped as if to be a candy cane, but that’s just an idea. This is definitely going to be one to wake you up in the mornings. I love Lush soaps, they are so foamy and there is such a big variety. One other thing aswell, they LAST SOOOO LONG! If you have ever owned a Lush soap before I hope you can agree with me on that! I hope you all enjoyed that mini haul. I love everything that I decided to pick up and I think there are some really great products in stores at the moment. They are doing INCREDIBLE gift boxes too which are really good for the money, would highly recommend those. 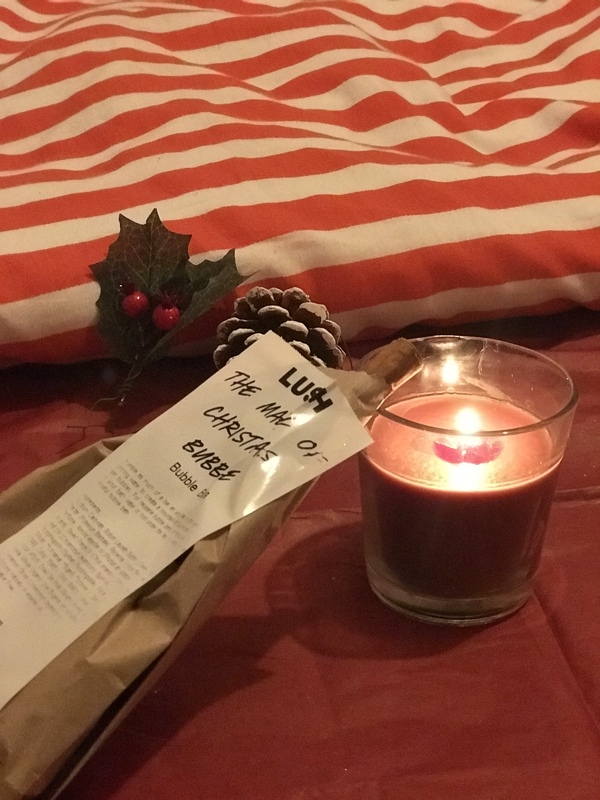 What is your favourite Christmas Lush product? and have you been in there recently and picked anything up that you would recommend? Wow what a haul! I love Lush! Thank you and omg same, they are such an amazing brand! Love a good haul! I’ve never actually tried anything from lush before! Same! no way, do you think you will?